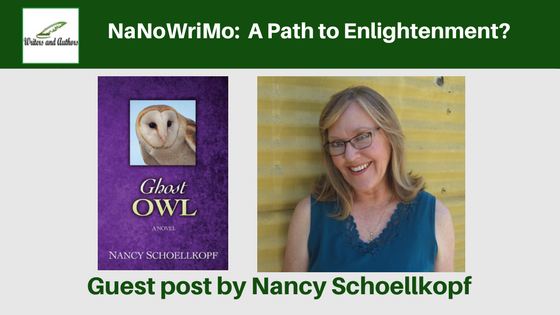 NaNoWriMo: A Path to Enlightenment? I know, you read that title and thought, what—is she kidding? Well, maybe. In my humble opinion, the road to enlightenment is paved with laughter! But hear me out. You may have heard the old adage, “Before enlightenment: chop wood, carry water. After enlightenment: chop wood, carry water.” I’m not a Buddhist, but I’ll venture they’re saying that the mundane necessities of life go on, despite flashes of spiritual insight. Now allow me to amend this bit of wisdom. Before Nanowrimo, write. During Nanowrimo, write without attachment. After Nanowrimo—well, we can get to that later. Since high school, I’ve considered myself a serious writer, and hey, serious writers want to write big things like novels. But I was bogged down by that infamous internal editor who sat on my shoulder as I scribbled in my notebook, telling me to re-write that last sentence, throw out the first paragraph, or wait a minute—you stop writing right now and go do more research, because, honey, you are not qualified to write what you are writing! Give it up! I did continue writing despite this nagging voice. I published poems and short essays. But a novel remained an elusive goal. Then I heard about Nanowrimo, that crazy month when we would-be novelists challenge each other to write a 50,000-word novel in thirty days. I thought, sure, I can write 50,000 words in thirty days. But will it be a story? I didn’t know. But I went ahead and took the leap. In Writing Down the Bones, Natalie Goldberg says, “Sit down with the least expectation of yourself; say ‘I am free to write the worst junk in the world.’” Nanowrimo gave me that freedom. I wrote long exaggerated descriptions and didn’t worry if a discerning reader would find them boring. I let my characters run wild on the page, saying outrageous things to each other, taking enormous risks with their physical and emotional safety. I let the words have their way with me. And guess what? I discovered that my imagination leaned toward story. I had no idea on November 1st how the novel would end, I didn’t even know if it would have an end, but by the time Thanksgiving rolled around, I had a big messy but beautiful manuscript and yeah, it was a storyteller’s dream. It was filled with intrigue and passion and crazy magical twists and turns. I was happy. After Nanowrimo? I now believe in the wisdom of writing practice, of sitting down with your notebook or your laptop and letting your hands dance. Natalie Goldberg again: “One of the main aims of writing practice is to learn to trust your own mind and body; to grow patient and nonaggressive.” The practice of Nanowrimo taught me this kind of trust, a trust in my own ability to open up so I might put my heart on the page. Is this enlightenment? No. I have a long way to go before I get there. But it’s fun, it’s exciting and ultimately very satisfying. 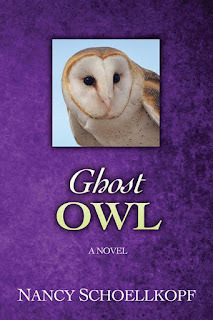 I wrote the three novels in my Avian Series during National Novel Writing Months, 2010, 2011, and 2012. Revision and editing came later of course, but even that was fun. 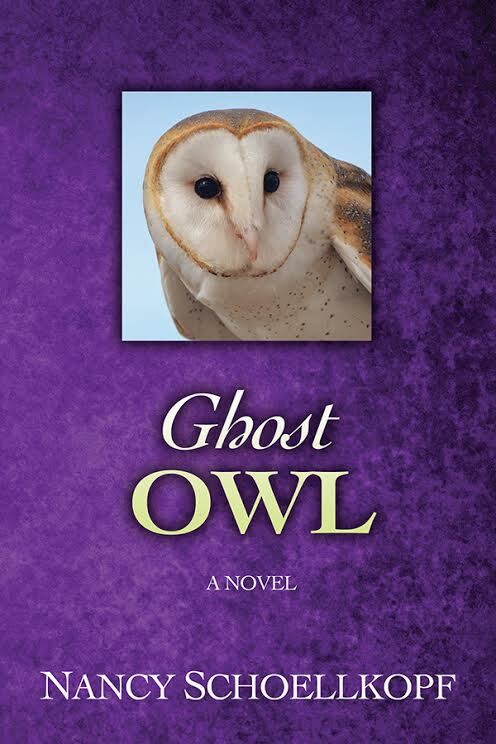 Yellow-Billed Magpie, Red-Tailed Hawk, and the recently released Ghost Owl—three stories of spiritual promise—are all available at Amazon and on Kindle. I hope they touch your heart. 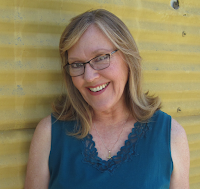 Thanks for spotlighting my book and post!